Google has brought several of its web-based offerings under one umbrella, syncing together its entertainment and applications. Users logging into Google Music, Books, Movies or the Android Market this morning found both a new look and a new name. 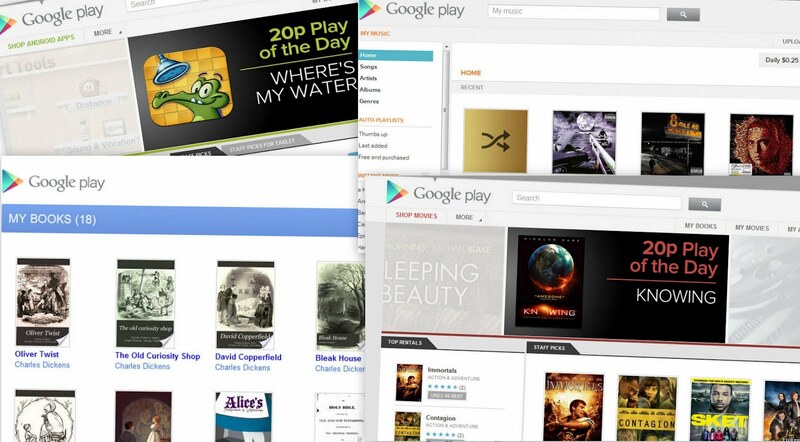 Under the inclusive banner 'Google Play', Google says it wants to make "your favorite music, books, movies, apps, and games" available "all in one place that's accessible from the Web and any Android device". In essence little has changed other than the name and a prominent logo in the top left of the screen, however by bringing the services together Google evidently hopes to sell more content to consumers. But it still faces an uphill struggle since some services or content are restricted depending on where you live. For users living in the United States there are no hurdles to jump over. Google Music, a service available since May 2011, remains accessible only to US based consumers. Those who have managed to circumvent the regional restrictions to upload music can only playback their music collection via the browser based app, and through an Android app only if they can find the apk file through a third party site, though updates will not role out to those who follow this route. Purchasing of music for anyone outside the US is restricted, and while Google claims they are looking to roll out their services beyond America's borders, there is no word as to when this might happen. 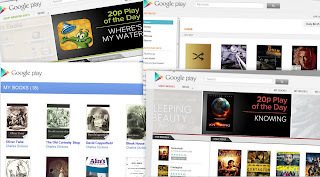 Google Books and Google Movies are available to users in Canada, the US and UK while Australians are restricted to Google Books and Japanese users have access only to Google Movies. The vast collection of Android apps, numbering more than 450,000, are of course available everywhere though some are still restricted to certain markets. However Google does say that it wants to expand their collection of services to everyone. "Our long-term goal is to roll out as many different types of content as possible to people around the world, and we'll keep adding new content to keep it fresh," Google said in a blogpost published yesterday. The biggest complaint was the lack of accessibility, as pointed out above. While some services initially only available in the US have rolled out to other users in the world Google has been slow in making them universally accessible. While there may be practical issues, such as being able to offer vast storage capacity for billions of users if such platforms as Google Music were to be offered to everyone, the company also faces problems with local laws or restrictions. Launched in March 2009 Google Voice still remains available only to those living in the US. Last year some users around the world were given the ability to make VoIP calls via their Gmail account through their browser and top up their account through Google Checkout. But the promise of a single Google Voice number, along with voicemail, free text messaging, call history, conference calling, call screening, blocking of unwanted calls, and voice transcription to text of voicemail messages, has yet to be seen outside the US. While Google says they are looking at rolling out to other countries they have not given a reason as to why this has yet to happen. It is likely that regulations in different countries are part of the reason why Google Voice still remains US only. Issues concerning copyright and IP may be why Google's music, books and movie services are not widely available. Even in the US Google faced a barrage of criticism from record companies after launching its music service and even when it began selling music it failed to get support of all the major music companies. While Universal Music Group, EMI, and Sony Music Entertainment, along with other smaller labels, signed up to the deal it has failed thus far to make a deal with Warner [tvnewswatch: Google Music still US only despite revamp]. Google's book service as an online book store came to the UK some six months after launching in the US, but faces strong competition fro Amazon's Kindle platform. While its original format of a searchable database of books remains, Google is pushing its commercial enterprise more forcefully. Today's changes to the name also brought updates to some of the associated Android apps. The Google Music and Movie app simply had a change of name but the update with Google Books brought with it the ability to have your books read to you. This is a good first attempt at voice playback of printed text, but it is somewhat like having books read by a female version of Stephen Hawkins. The biggest complaint, aside not being able to use some of the services under Google's new umbrella, was the name. While some lauded the move to bring the services together, there was a general feeling of consternation amongst many Android users. "Unification a good idea. Play is a terrible name though! … a silly name change", one comment read on what was once called Android Market. "Bad name. The whole 'play' thing is stupid, especially for books and apps. I don't play books, and not all my apps are games," another user wrote. In a user review concerning Google Play Books, one person gave the app only one star "because of the really stupid name and the fact it replaces Android Market with an equally stupidly named Play Store." The cross-platform approach and unification is undoubtedly a good move, but the Play name does subtract from the seriousness of Google's vast range of products. It also remains to be seen whether everyone will be given the chance to play with them.